I got most of what I learned about if from this blog post. Displaced views to make open perspectives is nice to have. ArchiCAD does not have it, but it could be faked when placing multiple views on a layout. Double click to edit sketch of floor/roof is also a nice, small improvement, that might be quite handy once you get used to it. I remember it from MiniCAD when I used it in 1998-2000. In ArchiCAD, you click on an element and a floating palette pops up with all editing functions that are relevant. In Revit, you get a few extra icons on the ribbon. Edit and manage materials in a single dialog. Overall, Revit has too many dialogs inside other dialogs that open new dialogs, which is a burden to the user. These relatively minor improvements can be felt every single day so they are welcomed. 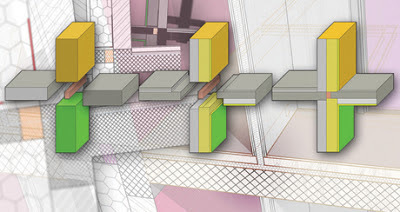 The new ArchiCAD 17 has changed the material dialog for the first time since quite long. I'm surprised this wasn't available before. I remember having this in ArchiCAD and AutoCAD for quite a while (forever?). Room Calculation point > you have more control over where an object should be related to, which is good. You could create this calculation point already in family objects, but I believe you can more easily change it as a user when placing objects. In ArchiCAD, you can mode the Zone (room) calculation point around, but not the reference point of a particular object. From what I hear from experienced Revit users, this could be important. 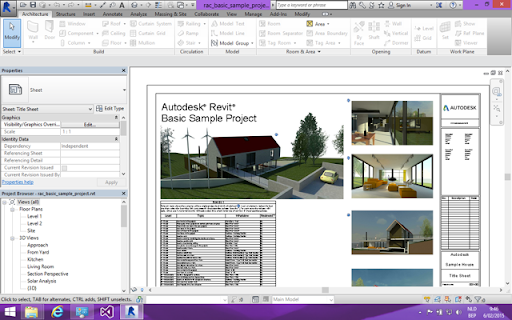 Inside Revit, families are always from a certain type, which has predefined characteristics. But when creating something more hybrid, they need to rely on generic models. It is important that they can be used the same way as any other family object. In ArchiCAD, you can schedule almost every parameter from a GDL object, but are limited to what is provided for native properties. And the truth is: there are several properties that you simply cannot schedule at all. From what I hear is that it is a more logical use, for which you had to rely on View templates in 2013. This is more like how it behaves inside ArchiCAD: you can change settings while working, without ruining existing views that have already been placed. There is no need to define separate views for temporary display changes, e.g. toggling visibilities of layers or markers. Very important as stairs in architecture are complex (in 2D as well). Every BIM tool should strive for improving them continuously. The StairMaker module in ArchiCAD has a lot of criticism, not without reason! This is from the Alice Labs acquisition, which is a huge performance improvement. One of my former colleagues is involved and there is some clever number crushing underneath the hoods. Point clouds can be gigantic and having them behave smoothly is not trivial at all. I still wonder how usable they are in the BIM context, as most parametric BIM objects can not be tweaked to follow the more irregular geometry of a laser scanned measurement. All in all, a fair update, with no "in-your-face" new features. This is not necessarily a bad thing, as many of the improvements seem to be oriented to productivity and making the system behave more logical, which can only benefit the user. The official announcement and overview is on the Graphisoft website but I read it first on the Shoegnome blog. Apparently, as an end user, we are warned only later on. While I don't claim that I invented anything, I did describe a priority-based system for automatic solving of element connections inside my PhD. This was in 2007. But I honestly don't think that the GS team used this idea, as it was straightforward conceptually. I still have to see how it behaves in full 3D and in the corners (! ), but it looks fabulous. Revit could solve floor/wall connections for quite some time already. Not sure how the two compare now. Improvements and consistency. In itself, this seems to be something that will have an impact on several levels: more consistency for derive documents, linking thermal properties to the material itself. This seems to be catching up (on some levels) to Revit, which had a better support for e.g. thermal properties already, but struggled in the complex interface. This is more like the Revit Mass modelling tools. I'm not aware of something similar for Revit. Realtime cutting planes look like the SketchUp slice tool. Element heights can now selectively be linked to story levels, which is a lot like what was available since Revit 2.0 (the first Revit release I ever saw). This will enable more fancy drawings. The plan view can be directly derived from the model, which enables shadows and colouring. Since this also allows to add hidden lines (e.g. from a floorslab above) it seems interesting to how consistent you can set them up, when compared to the regular 2D story-based view. BIM project get larger and larger and contain more detail. So supporting 64-bit and multiple cores is a logical, technical step to support this. Will have to see how it behaves, before I make a remark. This is one area where Revit receives quite some complaints. Would be good to do a real-world model benchmark, if such a thing would be feasible. This is important for a cross-application workflow. GS was always a huge supporter of IFC and this confirms that they strive to be at the forefront of the evolutions. Frankly, I did not read a thing about IFC in the new Revit announcement? As I am mostly an ArchiCAD user, I am probably biased. The new ArchiCAD 17 confirms that Graphisoft is still capable of producing enticing new features, hopefully not accompanied with a large list of unresolved old bugs. 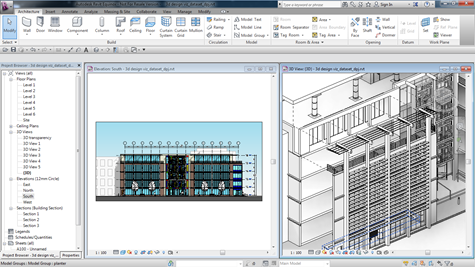 The new Revit version seems to be more about productivity and under-the-hood changes. I just wish that Autodesk would more openly support IFC and openBIM as to promote that we all need to collaborate. As an educational user, I'll have access to both programs without license cost, so I intend to keep them both installed on my laptop. But as usual, it can take a while, before they are actually available in the regionalised version; so the beginning of the new semester will be tricky, as always. This is part 9 of a series of posts about getting BIM data into Unity. 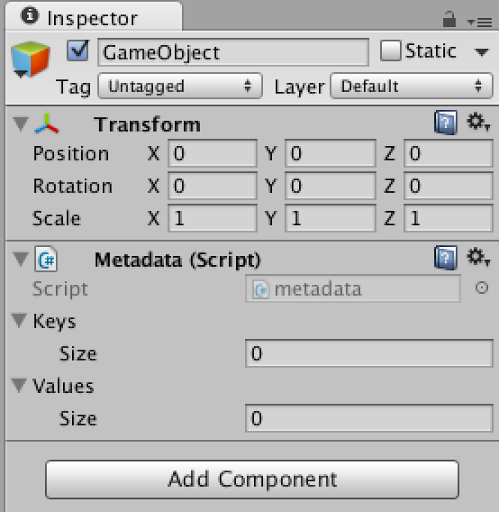 The strategy with this approach is that you preprocess the IFC-file into more manageable formats for Unity integration. Most Web-platforms do some sort of pre-processing anyway, so what you see in your browsers is almost never an IFC-file, but an optimised Mesh-based geometric representation. However, it wouldn’t be BIM-related if we’d limit ourselves to the geometry, so we will parse the model information as well, albeit using another, pre-processed file. This is part 5 of a series of posts about getting BIM data into Unity. In our previous posts we looked at how to get information from our BIM Model into a Schedule: a text file with data about the elements. This post will do something with this schedule. Regardless if you start from an ArchiCAD or Revit model, you should end with the geometry inside Unity from the FBX conversion (see previous posts) and a text-file containing a subset of information you want to transfer to the model, so it can be accessed from within the realtime model. Ensure you save (or copy) the schedules somewhere in the Unity Assets folder. The name does not really matter, as we’ll ensure that we can set it in our script as a variable. Reading the text from a Schedule file (“parsing”) requires creating a new C# script. 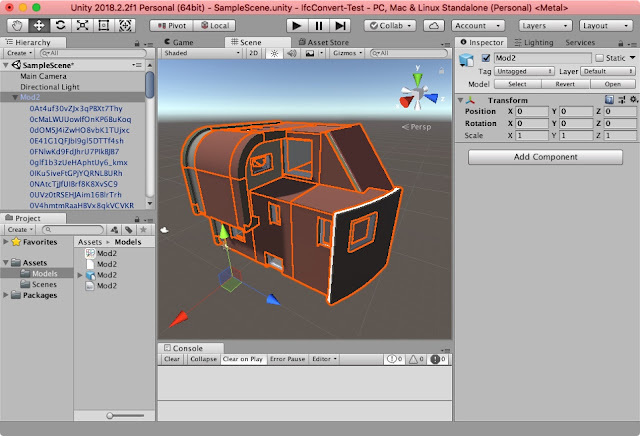 While this is not a Unity scripting tutorial, we’ll show you what we did. Maybe you can improve on it or spot some errors.